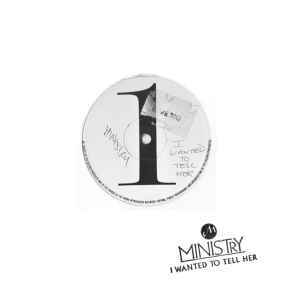 One-sided 12" issued in a plain white sleeve with a custom stamp of the Ministry logo, band name, and "I Wanted To Tell Her". The B-side has two etchings of the Ministry logo and is not playable. This shares the same catalog number as the standard 12".